If Marvel’s critics didn’t like the company’s subversive efforts to flip the script of the white, straight, male superhero, they’re going to hate Mosaic. 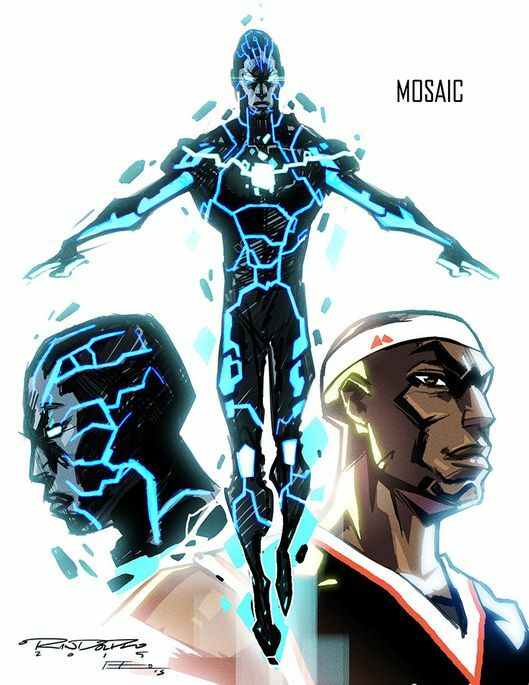 Morris Sackett, aka Mosaic is a cocky, self-absorbed, but beloved basketball player from New York who, after being engulfed in Terrigen gas, develops the ability to jump from body to body, sort of like DC’s Deadman. However, Mosaic is able to retain the abilities of the person he takes control of, even after switching host bodies. Many of Marvel’s new characters have pushed the envelope of traditional superhero, incorporating characters from diverse backgrounds so much that some critics say Marvel is now primarily for social justice warriors. And Mosaic is no different — except that his possibilities are endless. His ability to enter the bodies of a whole host of individuals, no matter race, sexuality, or origin, opens up the possibility of various social issues as Morris can encounter these issues with each body that he possesses. His introduction as this celebrity also creates an avenue that will inevitably allow Morris to learn more about himself. Highly gifted people can sometimes feel that they are above certain issues and transcend their identity because they have the money and the prestige to do so. Even recently, in response to a question about the Black Lives Matter movement, professional boxer Floyd Mayweather said that there are problems on both sides and that we have to recognize that “all lives matter.” When Morris switches bodies, he is no longer a celebrity, and therefore, does not have the money or the ability to be more than just his identity characteristics. He will be able to do more than just learn about the problems of people that have varying identities, but actually experience these problems first-hand. It’s still early in the series, and we will have to get used to Morris’s persona. He has a lot of humbling that he needs to do in order to become the cocky, but likable character that we see in like Tony Stark. He also will grow as he discovers how his powers work. Not many comics have identity rooted into their framework. [Mosaic] has the potential of creating an interesting superhero with an equally powerful storyline.